As my colleague John Goreham superbly reported, with the sudden out of nowhere update of General Motors plans to fastrack the end of gasoline vehicle production and save money in the process by closing a half dozen plants and layoff 14,000 workers, most people would think cancellation of Chevy Volt is counterintuitive. The time was 2007 and at the time while General Motors was on a free-fall money burn with a race against time toward their 2009 bankruptcy, it was becoming quite clear that the importance of beating Toyota and Prius was about game changing the strategy with Tesla and Model S that was readying mass production at the time, to make a GM electric car more about all electric and not transitional hybrid. Car Mega Guru Bob Lutz of the Golden 1960’s Car Era, the days of pony, muscle, Pontiac, horsepower, and be damned of bean counters and let’s just do this! fame, was taken on to the GM board as vice chair by CEO Rick Wagoner, and his job was to clean up the 1980’s and 90’s reputation of lackluster GM design and engineering. Less front wheel drive and plasticky cheap interiors particularly in Cadillacs. Lutz was more about the brand and the bigger picture. Engineers of the Voltec platform came to him with the inevitable problem engineers tried to work around but couldn’t resolve the way Tesla was going about doing it. You see, Tesla could afford to fit a tray of expensive lithium ion batteries used for cell phones on an upscale $100,000 car at the manufacturing scale they were planning on doing, but GM just wasn’t ready to mass market lithium ion the way they wanted to. Their supply chain and economies of scale and a tight budget prevented them from doing so. Otherwise they could swat Tesla like a bug. Ok give me some options Lutz told them. This is where the PHEV and the Chevy Volt was born. This not not what GM exactly wanted, but until they found a way to make lith ion cheaper, it would have to do. He signed off but made it clear, this car will eventually be a Tesla killer, not a Prius killer. That is the conundrum of the Chevrolet Volt, be damned its specifics, it was a revolutionary car. Even President Obama avowed to get one once out of office to drive to his post presidential work every day. I don’t think he realized how his life would dramatically change even after a post-presidency to never have to drive again since the first time he was elected, and I don’t think General Motors realized what trajectory Volt would take to last so long. I’m famously known to be not necessarily anti-PHEV but more on the side of BEV advocacy. Think about this: car electrification’s ultimate goal is about ZERO EMISSIONS: let’s get all of the small fireplaces to put out their fires first, while we find ways to convert the bigger sourced fires to renewable energy, the conventional wisdom goes. Hybrids are about LOW EMISSIONS, NOT ZERO. If that’s the case then what’s the point of a hybrid, especially now? We’ll continue to have gas vehicles that instead of polluting all the time, they instead will be polluting when you run out of range. PHEV owners seem to forget that equation, to implicitly allow us to trust them with an ungiven promise they’ll never use their gas part ever. PHEV owners I love you to death I do, but that’s not your decision to make, it never was and it never will. Why? Let’s take a look at the term “transition vehicle,” and what it could mean to anyone and why we need to act decisively on hybrids NOW. “Transition vehicle” is a fluid term. For first adopters that means the first on their block with the latest vehicle technology that will cut emissions into the environment. And when something better comes along that means trading it in for something even better. But for other economic groups not so blessed with funds to undertake a noble endeavor, “transition vehicles” means something else much different. Have any of you stark defenders of your Volts and ELR’s ever thought what happens to them when they’re still serviceable, but when you’re done with them? Like an old Escalade or a Mercedes or an Electra 225, they get passed down to the next economic group less fortunate than the original owner, and with more important priorities than saving the planet. This is why both the UK and the European Union are banning PHEV sales by the year 2040, as they are already doing with fossil cars. But it seems even with the recent luxury car proliferation of them, with the cancellation of Volt, we may already be on an express track to their extinction much sooner. Trust me, if it was easy for GM to get rid of Volt, it’ll be just as easy for Lincoln to cancel their new PHEV Aviator they’re giving all the hoot about recently, as it was easy as it was for them to cancel their iconic halo, the storied Lincoln Continental. Beside the fact that establishments public and private are taking it upon themselves to ban them on their own, bigger car companies are starting to realize they can make BEVs more cheaper and faster than gas ones. That’s what Project Polaris at VW Group is all about. As all kinds of electric vehicles proliferate the landscape across the globe, there will come a time when there will be an abundance of them and soon. And there are so many places where we can park our electric cars with preferential treatment, take preferential status or rates when using HOV or toll roads, and wait for a turn to use any kind of public charging station. Trust me, as we go along PHEVs will become an afterthought to have less and eventually no priority. In some places like California, EVs have reached a critical mass, that the state and the people and communities that lie within it must decide either who or what kind of EV can get better, closer, preferential, or even access to at all to any kind of services, public, perhaps in a few cases, private. My Bias and Premise: Folks I’m not an Ideologue, Far From It! I do not profess to be a electric vehicle purist, whatever that is. As the police officer I was intensively trained to be once at young adulthood barely passed teenaged years, if anything and above all else, I am a pragmatist. I believe you hope for the best, prepare for the worse, believe what’s in your heart, stick to what you know, but try to base decisions based on facts, not necessarily what you think might work for you, most especially when a decision is about leadership, which encompassed over half of my previous career, you make sure your decision is for the good of the many as opposed to just the few. Pragmatists must stand by the premise that anything is possible, the unexplainable too, and with that premise, all options are on the table. But if important decisions have to made they must be based on facts, not even necessarily what you or I may believe, or what may be based on personal experience. My position is not whether a pure electric vehicle makes more sense than a hybrid one. My position is that the ultimate goal of this whole electric thing was to get every vehicle on the road to become fully electric ASAP. We are at the state of an interplanetary emergency. This is something I can relate to and understand. I served during the September 11th crisis. Our planet is dying. Life as we know it is dramatically changing exponentially on the planet. There is a climate crisis and we have to orderly and methodically find solutions. Even if you disagree to proudly be a climate denier, you cannot deny whatever is causing this and something is going on, to get that part of your head out of the sand, that there are things we can do to abate it, lessen it, and/or make it as manageable as we can. And we have a moral obligation to our children and theirs, and to the animals and living things that have an equal right to be here as we do, to try. And as leaders of the free world we Americans are, even more so. FOLKS READ THIS CAREFULLY: there is a reason why we are all here talking about electric cars, and the Electric Car Revolution. It isn’t because of Volt. It is because of Tesla. We are here because of Tesla. What car or car brand do you think every other car board of directors or shareholders meeting around the globe obsess about when they convene a meeting? THERE IS A REASON WHY TESLA DOES NOT MAKE HYBRIDS. That is the whole point of this exercise. The goal is ZERO not LOW EMISSIONS. We don’t need the PHEV anymore. Some of you may argue otherwise, so let me put it in these terms you may understand. If by fiat or law PHEVs were taken away, we can easily at this point go on without put them as opposed to not having BEVs under the same circumstances, would worsen our situation. If we can do only so much better with them while here, that they can also harm us as well, then we probably can do without them if we had to. We can continue on without it them. The bottom line is that they are still gas cars, and there will come a time with them, you’ll run out of range. And when you do they revert back to gas. That’s not helping matters. The premise was back in 2008 when the Chevy Volt was born, the batteries at the time weren’t as good, so the engineers needed a transition platform so that when the technology improved for the vehicle the batteries were intended for, they can take vehicle that created the segment, that’s the Chevy Volt, and can then move on to the next generation so we won’t need the hybrid platform anymore, to use a full battery one. That was supposed to be the Chevy Bolt. Well, here we are over 10 years later and Volt is still here. Bob Lutz, the Vice Chair of GM at the time made it clear, as Volt was under development that it was going to be a Tesla competitor eventually, not a Prius one, and emphasized this understanding when he signed off on the birth of a new temporary electric vehicle segment. Volt was supposed to become Bolt. Lithium ion has improved, in fact we’ve moved on since to solid state batteries. The PHEVs are still here, the technology ten years old and older, and they are now proliferating exponentially. A plug in hybrid does not compete with a Tesla. Because the segment has yet to be closed out, the only thing that a PHEV really competes with, is with itself: other PHEVs. The whole point to this entire exercise some of us forget and perhaps at times dangerously so, some who have no clue of the history behind this, that this whole electric car thing that started this all, was all about Tesla, nothing else but Tesla. Tesla is a BEV. It wasn’t about any PHEV. ▪	There are 26 plug-in electric hybrid vehicles available in the US. ▪	BMW offers five PHEVs, Mercedes-Benz and Volvo each have three available PHEV models, followed by Ford, GM and Porsche with two each. ▪	Median range is 21.0 miles. ▪	Mercedes C350e has the least battery-only range at a paltry 11 miles. While at 15 miles of range and a base price of $143,400, BMW’s i8 sports car has the honor of the highest cost per mile of range at $9,560. On average, Americans drive 29.2 miles per day, making two trips with an average total duration of 46 minutes, according to a 2015 study by the AAA Foundation for Traffic Safety and the Urban Institute. The study also found that college graduates drove an average of 37.2 miles. With an average 21 mile range a PHEV gives, something’s got to give. The car is going to eventually and at times run out of range. And when it does it reverts to gas. And the goal is zero emissions. So what’s the point if that’s the case? I was recently accused ridiculously of “BEV Elitism,” in the comments section of this article, whatever that is. I bursted out into genuine laughter to almost fall out of my chair at my desk when I read that. This is how I know people don’t know me, and are ridiculously ignorant of car knowledge or history to not understand how the electric car revolution was born and is evolving, that PHEV hybrids were not put here solely on purpose, and people have no idea what the hell they’re talking about, which actually makes them dangerous. This is also how I know they know little about cars except when they need one, to go car shopping to see options, and see a PHEV as a good compromise vehicle without looking at the bigger picture and without doing further research. Well, their PHEV works for them, they tell me. And I say, well good for you! But my job as a Car journalist is to look out for everybody, not just YOU, and it isn’t all about YOU. Car dealers are now realizing this, to now put pressure on manufacturers to hold off on BEVs and prolong the transition so they can stretch the endangered dealer based business model of selling gasoline cars. But the Volt cancellation is a game changer, and while manufacturers want to help out their base like any politician would looking to get re-elected, the economy almost always sometimes gets in the way. And supply chains are telling them: pick us or the other, but if you’re that rich to waste money, you can’t have both kinds of chains. 1. PHEVs are transition vehicles. Bob Lutz, vice chair of GM back in 2008 created the segment starting with Volt. Lithium batteries left much to be desired back then. The idea was that whatever Volt was, they did not want it to become a Prius competitor. The goal was for the next generation Volt, which is Bolt, to become a Tesla competitor. 2. PHEVs still use gas. They have low ranges that go back to being gas vehicles. No matter what the trip, there a good chance you’ll run out of range to go back to gas. On average Americans drive a bit further than a charging cycle of a PHEV. It’s just a matter of time. 3. Plug hybrids are tougher on lith ion batteries than BEVs are on theirs: That paltry range means a shorter life cycle for PHEV batteries and if long term ownership, greater cost in replacement. I’m being generous when I say a daily 50 mile rechargeable range takes it toll on batteries. Anything less is brutal. You one of those complaining about how the batteries are crap as they age as an excuse not to want to buy an electric car? Better not buy a PHEV! 4. Longer trips mean your gas engine is probably going to do all the work. So much for going green! 5. PHEVs are more inefficient than a BEV, than any other electric car. Remember something that’s always overlooked: your PHEV is always inefficient because it lugging around that several hundred pound engine that could be weight added more efficiently to an already heavy battery tray. Make up your mind what it is you really want. 6. You worried about batteries exploding, then why the hell would you want to add gasoline to that flammable scenario? Are you crazy? Make up your minds which kind you really want, one or the other, not both then! 7. If you plan to keep your Volt or Aviator or whatever long haul remember this: today’s 50 mile range is tomorrow’s 35-45 mile range and less, and battery replacement time will come sooner than it would have if you went balls to the wall with batteries instead. 1. PHEV owners become more knowledgeable about the various types of chargers, terminology, locations of EV chargers, charging etiquette, and best practices. 2. Owners learn how to plan and manage their trips around available battery range and reduce or eliminate range anxiety. 3. Owners may install a charger at their home (or get one installed at their apartment). An existing charger at home is one less hurdle for a consumer to jump to a BEV. 4. Owners get first-hand experience with the advantages of EVs when their PHEVs are in battery mode. These include increased torque, acceleration, smoothness, and the quietness of the electric motor. They also get to enjoy fewer trips to gas stations. 5. Their purchase of an EV, even if only a PHEV with a range of 20 miles, sends a powerful signal to auto salespeople, dealer management, auto company executives, and the overall industry and marketplace that more consumers are comfortable buying plug-in cars. Well you can do all those above things with a BEV and have a longer range in which to do them. For 6: if you buy a PHEV you’re actually sending a message to the salesman you’re willing to buy the last kind of vehicle that fits into the dealers old business model of gas cars. A car type that when it breaks down will enable the dealer to make an even bigger profit than he will with your all electric because your PHEV is still a gas car. Watch closely when the lease is over or when it’s time to trade: what’s the first kind of vehicle he pushes on you? Is it a another hybrid? Why is that? How insisting is he with it? How many years of hybrids will you need until you feel comfortable buying a full electric? That’s my point about PHEVs. The charging dynamic is never going to be like gassing a car. Get out your public charging map app and dive in. The PHEV is now beginning it’s quick death with the end of Chevy Volt. It actually was never wholly intended to exist. Now it’s gone. Trust me, if GM thought it was such a valuable vehicle for them they would have went out of their way to keep it. They didn’t. And soon so will the same fate face the battery electric plugin hybrid. Car companies, at least the bigger ones, are starting to realize they can make all electric cars more cheaply and faster than gasoline ones. Hybrids are cheaper to make to cut costs right now, watch how quickly that changes as these companies are now undergoing supply chain changes. And if the Europeans and Brits have put a timeline on them as much as we Americans are becoming addicted to them ironically like cigarettes, economies dictate we too will have no choice but to let them go as well. And the sooner the better. So get ready. Take a deep breath. Now dive into that cold water of BEVs and public charging. Wade a little. You’ll get used to the conditions. Take it in, it ain’t all that bad! Welcome to a new dynamic of American driving. What do you think of Al’s crazy thinking? Let us know below! Happy hybrid plugging! My Dear Reader: thank you for your support, and I’m sorry I failed you. No excuse, but please understand that sometimes I’m immensely tired when I get home after work when I publish these things. You may think its useless reading, but trust me, there are people out there who don’t know much about PHEVs that think it was an actual purpose built invention, when it was not. They’re having a hard time wrapping their heads around this cancellation thing, and some of them lately have chosen to take it out on me. The comments section of the Mercedes PHEV story is a glaring example. I have a thick skull. So I needed to make this article as factual as possible, besides the fact that longer articles make for better Google rankings. The header on LinkedIn said: “ Now with Volt gone, what does this hold for the future of electric cars and the future of GM?“ Yes you're right, I probably should have addressed that better, I figured my colleague John Goreham took care of that in his two links I provided at the top of the story, and the last few lines at the end when I tell you to jump into that BEV pool of water that awaits us all. Suffice to say, this is putting GM electrification on the fast track, as GM converts its supply chain to all electric, like VW, both are starting to see the benefits and setbacks. Both just realized they really do need to get rid of their gasoline operations ASAP, the quicker they do, the more they’ll save. This includes hybrids, which because they require extra components, that means extra cost to make. So, an electric in your garage probably will be there much sooner than the 10+ years on average we were thinking as a median. A five year timeline I’d say is more likely. And 2020 is the year for the electric at your local dealer. Watch how these dealers right now are all flooded with gasoline cars, and in as little as 18 months, particularly for GM and VW Group, a big chunk of those cars on those lots will be BEVs. Amazing. Please stick with me. I'm only Human. Aren’t you a bundle of fun. Gm was experimenting with electric going back to the Electrovair. Look that up. As for Tesla they have definitely started everyone on an electric future and gm is committed to it. A long winded article I disagree with. 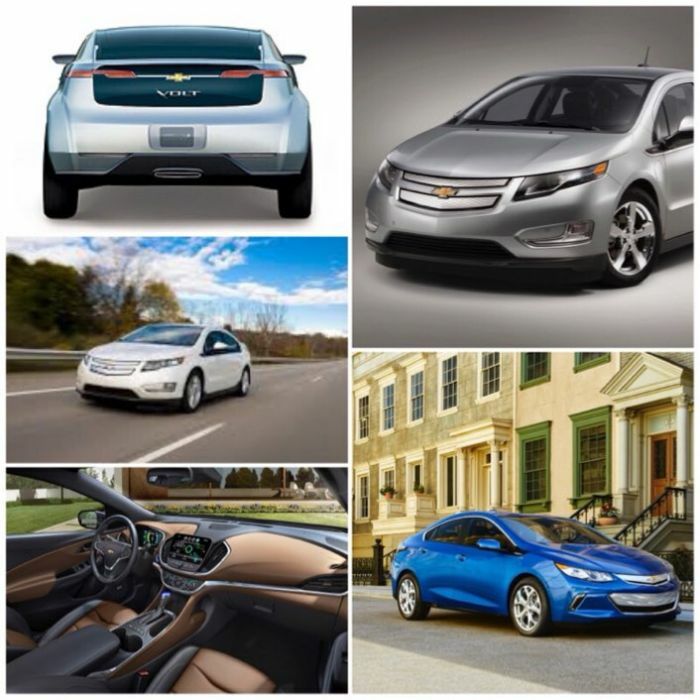 The volt is an excellent car that is a great solution. Tesla’s are not a vehicle the average citizen such as myself can afford. Until they produce an affordable ev they are just a status symbol. For me my 2014 volt is the ultimate solution. I happen to be retired with short commutes. I can go anywhere I want and drive a majority on electric power. A real electric drivetrain till the electric runs out. Put this in the category of opinion piece. Not an actual balanced piece of journalism. Why thank you, and aren’t you a bundle of joy yourself? Well, let me tell you something Mr. Volt, I’m happy for you that your Volt works for you, but you see with the environment, and the economy, it’s not all about YOU. Now I based my piece here on FACTS. Look those up. Where’s yours to support your arguments? Ah, I see. . . The PHEV is no longer needed. Disagree with me with no basis, but that’s why GM cancelled Volt. FACT. What planet you come from? We’re incinerating here to ashes in climate change and you want to keep your part time oil burner! Speaking of not keeping with the times, I see you haven’t been car shopping lately either, to see that there are several cheaper options than Tesla. Or better yet, hold onto your 2007 technology retread part spark part huffing contraption, and wait until 2020 for a REAL electric car, that’s a BEV with maaaaaaaaany options as looooooong as my loooooooong winded article! Good luck to you! I look forward to the day when battery technology (range), charging technology (speed of charging), and the charging infrastructure (availability of chargers) is robust enough to handle a BEV-only world. But we're not there yet. I cannot drive interstate, especially in the Western U.S., in a BEV. It takes way too long to stop every couple hundred miles and charge up. So, I can have a BEV in the garage, like I have my gen 2 Volt, right now. But then I'll have to have another car, like the Prius that shares the garage with my Volt, right now. You see, I don't live in a city. I live in the rest of the U.S.; in the vast spaces between cities. The decision to put the Volt to death, especially if it means the Voltec drivetrain dies with it, is a few years too soon, in my opinion. Most respectfully, I hear your frustration sir, but as the, not years, but weeks and months come along, your excuses are becoming thinner and frankly edging toward lame as these charging networks are putting up droves of additional stations across the country, some of them for cars that don’t even have the technology yet, that in a year or two they will.. “It takes way too long to stop every couple hundred miles and charge up.“ You wrote. This is an example of how we can’t make everything for everyone to make them completely happy. Some may say you should be grateful, that the cars have enough ranges for you to stop for that “every couple of hundreds of miles” to recharge. Some say, A 300+ MILE RANGE IS TO MUCH! Electrify America will take care of your “it takes too long for supercharging” issue with their super fast supercharging features. Just make sure that the real electric car you next get has fast supercharging capability. I don’’t know what a “it takes way too long” timeline is for you, but it is there that we need to address this problem that I often write about on social media and in these articles, pardon the capitalization: GET THE GASOLINE REFUELING DYNAMIC OUT OF YOUR HEAD WHEN IT COMES TO RECHARGING A BEV. We really need to reset and rethink what it means to refuel an electric car, and as the largest producer of oil in the world next to Saudi Arabia, Big Oil is not going to let any charging stations near their gas pumps, besides the fact that’s too dangerous. I bet a lot of you PHEV owners are thinking about this for you to be waiting for this to happen, and that will never happen, never. You really do need to take out your phone and use a charging station map app to find the nearest or cheapest or fastest or whatever station to refuel your electric car. This is about comfort level, well, GM just took off the training wheels. VW also will soon. It’s grownup time and we need to move this merry go round along. It is about ZERO emissions, not low emissions. You may not think so, but you’re ready. I suggest renting an electric car for a week or a month and see how you fare. In fact that would make a great feature story I could publish here. Let me know if you’re invested! You are spot on with this article. I purchased a 2011 Volt in 2016, just to see if I’d like the whole electric driving thing. It’s changed my life and the way I commute. I recently purchased a 2019 BoltEV, and even though we have a 2018 RAV 4 hybrid, we’ll only drive it on long trips. The EVSE infrastructure is coming fast, and I can’t be more thrilled about it. Any future vehicles we purchase will be BEV’s only. Thank you for the great article! Thank you! Let me re-emphasize for clarity: never once and never will I be against the PHEV car. The Volt and ELR were excellent vehicles for their time. They were made for customers like you to kick the tires and try out a different kind of motoring. It’s hard to believe, but that was over 10 years ago. The Volt was made until lith ion got cheap. it is now beyond cheap okay, and all these cars are becoming are part time polluters. We don’t need them anymore AS NEW CARS! In fact, I hope you hold onto your car as long as you can. In electric mode it’ll always be useful. But you’ll always have a gas backup vehicle! And your car is already here. It serves a purpose. One of its purposes is to stay here and be functional for you so that another new gasoline car doesn’t have to be built. That’s is also ecology saving. I tip my hat to the PHEV. Zero emission is not possible as long as fossil fuel is used to generate electricity. We have a 2014 Volt that was purchased new. It has been the best car we have ever owned. When it was purchased, gas was $4.00 per gallon and we saved enough money to make the car payment, and that's why we bought it. The Volt is the most misunderstood car ever made... and I think GM did that on purpose, as it was rumored that the car cost more to manufacture than it sold for. I do not want to be range limited and will never buy a BEV. I do not want to plan my trip around charging stations. I do not want to wait for hours while my car charges. I do not want to wait while someone else's car charges, so i can charge. Might as well take a bus. Range and long recharge time is the problem with BEV's. Until that is solved, BEV will be a niche. I bet that most BEV owners have a gas car too. If they had a Volt, they wouldn't need another car. I predict that there will be a lot of used Tesla's for sale after the newness and panache wears off and range anxiety and charging fatigue sets in. When it comes time to replace our Volt... it will not be with a BEV. Sir I hear you and respect your sentiments. I hope you’re enjoyijg your Volt to give you many good years of service it is a good car. Unfortunately I can’t engage you here as there are many issues and events going on you need to get up to speed with that would make you formulate updated decisions about electric car technology. Ranges charging stations battery technology etc have all changed. These were part of the decision why GM decided to cancel Volt and other PHEVs. Thank you for your time.